Charles Babbage unveils his design for a machine he called the Difference Engine, the first example of a mechanical computing machine. The British government funded the building of a Difference Engine, which Babbage never actually completed. 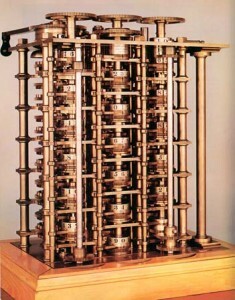 However, Babbage’s design for the Difference Engine and his later Analytical Engine spurred future designs of working mechanical computers. In 1991 a working Difference Engine was constructed using Babbage’s plans, proving that his designs would have worked.